Flowmaster Jopic – sell imported sauna heaters and sauna rocks/stones, sauna controller, sauna accessories, sauna clock & thermometer – used for domestic & commercial use. We sell Harvia (Finland), Tylo (Sweeden) and Chinese well known brands. We also can order pre-fabricated ready made saunas that are easily assembled for domestic or commercial use these come with all the sauna accessories. 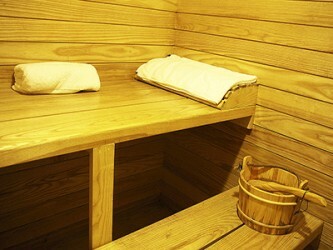 A sauna is a small room designed to be heated to very high temperatures, with well-controlled humidity. Saunas are used both for recreational and therapeutic purposes, with most people using to relax, as well as for their health benefits. Most are built of aromatic wood, which releases pleasing aromas as they heat. There are two main types of saunas: dry and wet. Which type you prefer is just a matter of taste. Wet saunas are sometimes called steam rooms, and are kept at lower temperatures than their dry counterparts — usually between 100 to 115°F (37 to 46°C) to prevent the superheated water from scalding the skin on contact. Dry saunas may be kept at much higher temperatures of up to 250 Fahrenheit (121 Celsius), by keeping the ambient moisture down to nearly zero.